Are TV shows better than movies these days? I think so. Much has been said about today’s television shows and whether they are better than movies. I feel like the last few movies I’ve seen in the theaters (and I’m talking major Hollywood films) were just OK. I argue that television is superior these days because it’s bringing social issues to the small screen (read: more accessible to your average Joe) with much less controversy (and the bias that comes with it: i.e. Zero Dark Thirty, Argo). Take, for instance, The Good Wife. 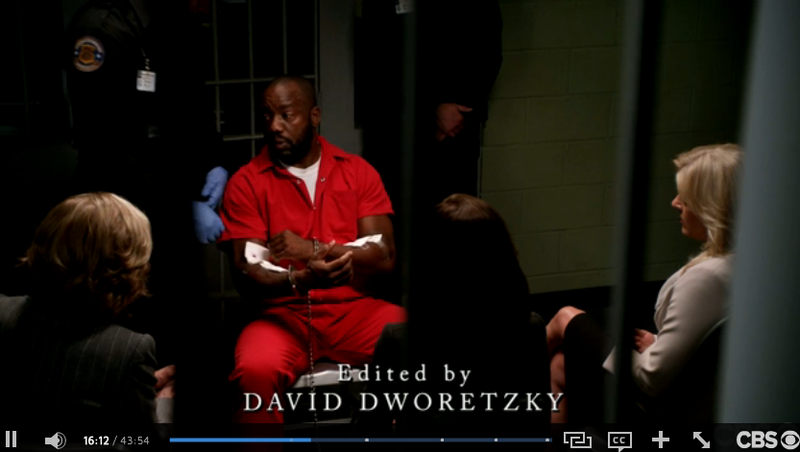 In the first episode of this season (the show’s fifth), there is a death penalty scene that brought tears to my eyes. In the scene, the capital punishment staff has trouble finding an accessible vein in which to conduct the execution. Two and a half brutal hours later, the attorneys from Lockheart and Gardner intervene. Now, they have 48 hours to, once again, try to prove the death row inmate (and their client’s) innocence. Leaving the “my client is innocent” part of the story aside, this isn’t just a made-for-tv scenario. This is an issue that actually happens in real life. Fordham School of Law professor Deborah Denno, in fact, is a death penalty expert who often weighs in such cases. A foremost legal scholar on lethal injection, she has conducted much of her scholarship on a botched Louisiana execution in 1946 and its legal legacy. Per DeathPenaltyInfo.org, Denno is calling for a nationwide study of lethal injection protocols conducted by an independent commission consisting of a diverse group of qualified individuals, including medical personnel. This review should consider the extent of physician participation in executions. Second, she recommends that states release information about execution procedures to the public. And why is she calling for this? Take Ohio, for instance. Did you know the state leads the country in botched executions? As Denno wrote in this Huffington Post opinion piece, the state imposed “a method of execution never before used on anyone, anywhere. [Ken] Biros died from a lethal dose of a single-drug and he could have died from an even riskier back-up plan — procedures prompted by Ohio’s disastrous attempts to execute another inmate this past September. That’s just … wrong. To learn why lethal injection has “never met its purported goal of humaneness,” read Denno’s piece in the Huffington Post. And I’ll add: Yes, death row inmates are there for a reason. And many folks do not pity them. Sometimes I do not. (Mostly when I’ve just read a detailed account of the crime they allegedly committed.) But a botched execution can’t be the answer. Especially when there have been cases of death row inmates acquitted thanks to DNA. Now, back to TV. As far as I’m concerned, I prefer television (primetime and cable) shows to movies these days. Convenience + good stories = happy. WATCH the episode of The Good Wife here! It’s a good one.